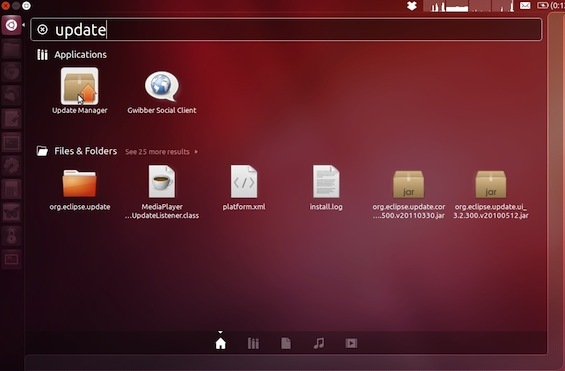 Ubuntu 12.10 with the codename Quantal Quetzal was released yesterday. I am very excited to go through the neccesary steps for the upgrade. You guys who might be thinking about an update will be shown exactly what the process will look like. I will be using the „desktop“ tools to upgrade within the Unity environment. More tech savyy users might want to use the console only. First, make a backup of all your stuff. I tend to save the whole home partition to an external disk in order to make sure all my data is in a safe place. 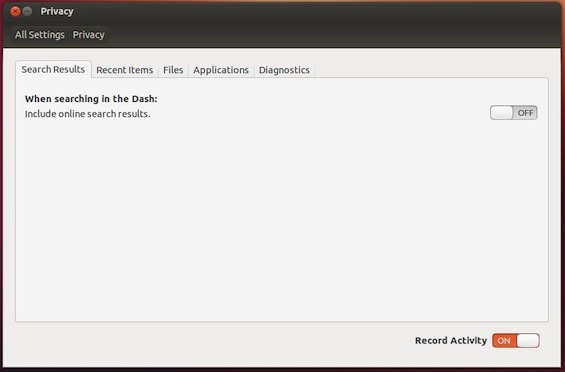 I’ve made very good experiences with upgrading Ubuntu but I will not bet my data on it. 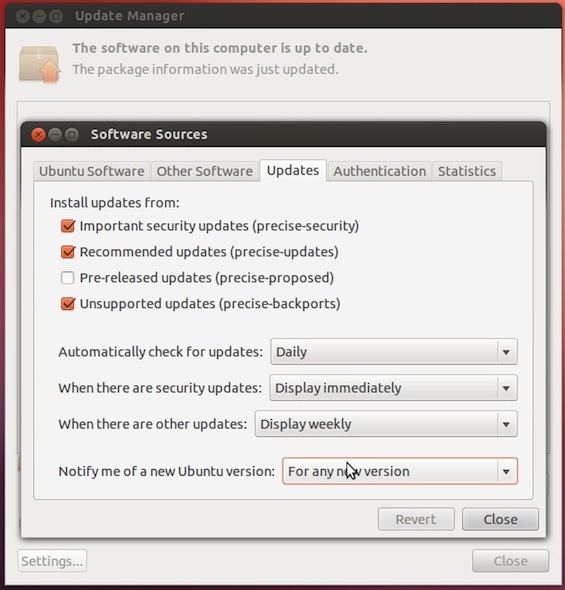 First make sure you’ve got your current Ubuntu installation updated to the most recent version. 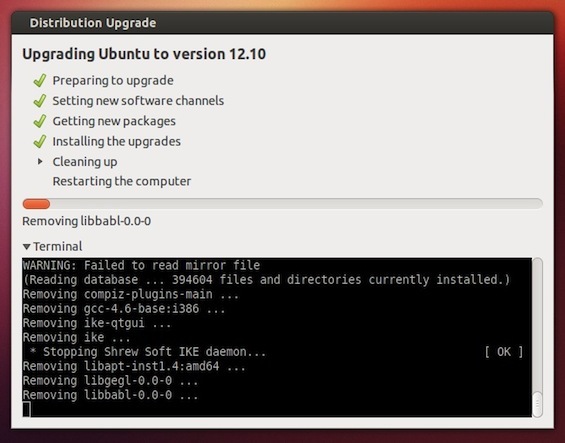 Start the „Update Manager“ of Ubuntu. Click „Check“ first and „Install Update“ if you’ve got anything left to install. You might be promted to reboot your machine to let all updates take effect. Please do so, to make sure anything will work smoothly. 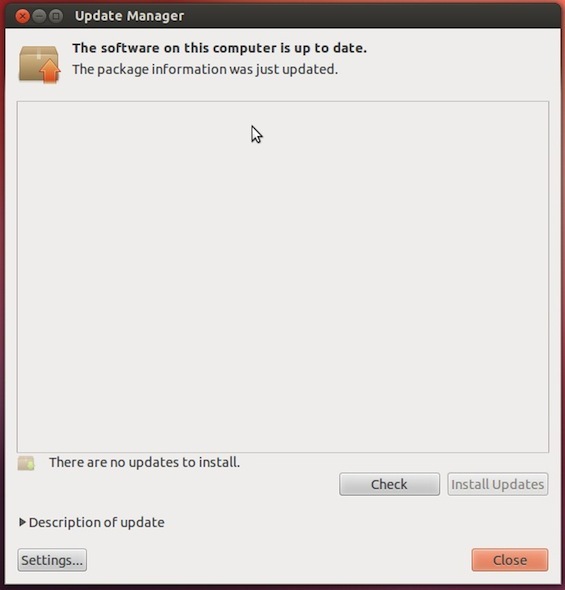 Once everything is installed, reopen the Ubuntu „Update Manager“. 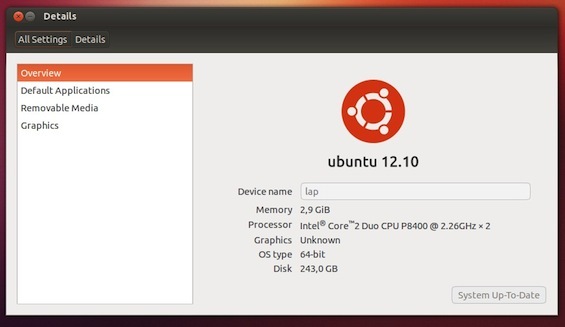 If your settings are the default one, you will not be able to see the new Ubuntu 12.10 Quantal Quetzal update because the current one (being an LTS, long term support, update is only looking for new LTS releases). 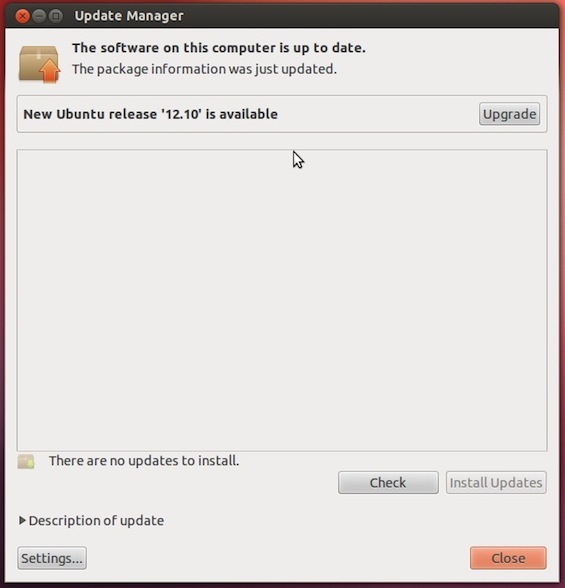 So under the tab „Updates“ choose Notify me of a new Ubuntu version „For any new version“. 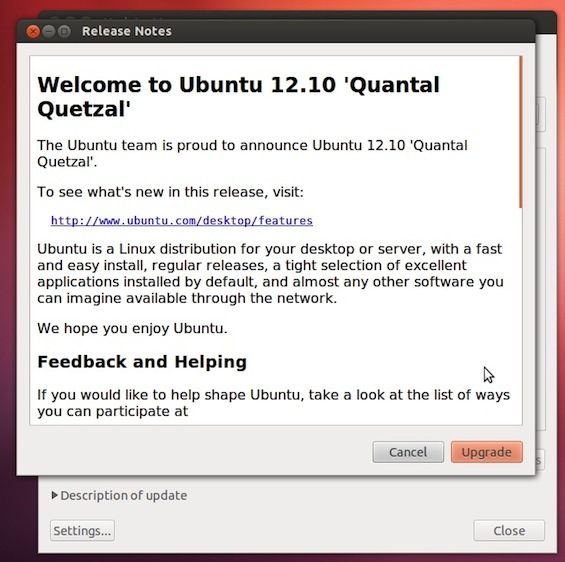 Now you will be able to see the Ubuntu 12.10 Quantal Quetzal update. Click on „Upgrade“. You will be greeted with some information. Click „Upgrade“. Once it has done that, you’ll be promped with the result. 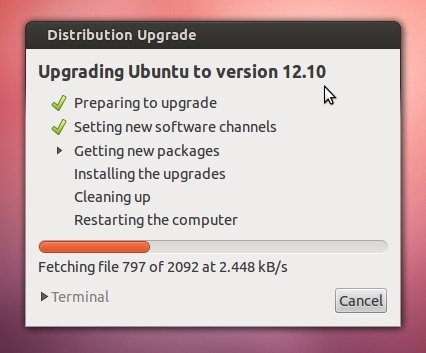 Most important is the estimate it will take Ubuntu to download all the files needed for the upgrade. Just click „Start Upgrade“. Now, you can grab (several) mugs of coffee… depending on the speed of your internet connection and your hard drive. I’m fortunate enough to have a fibre channel internet connection so the download will only take several minutes. 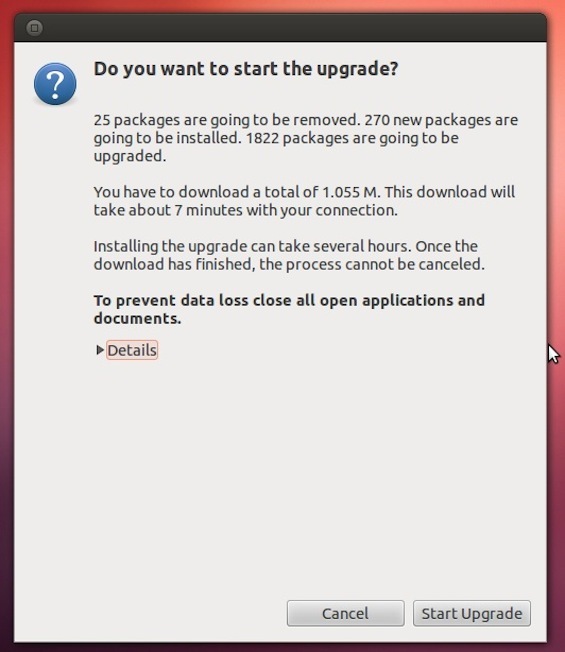 After the download, Ubuntu will start installing the updated packages onto your system. This will take some time depending on the speed of your hard drive or SSD. To monitor the process even closer, you can just flip out the terminal. It took my machine over an hour to install the fresh packages (2,2 Ghz Core 2 Duo Laptop, with 3 GB of RAM, 250GB HDD). 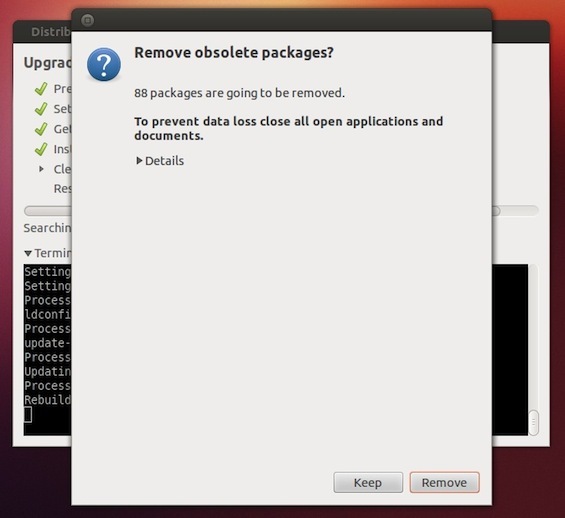 Finally, you’re asked if the unneccessary packages can be removed. Proceed with „Remove“ (if you want that). You’re almost done. Time for the final reboot! Congratulations! 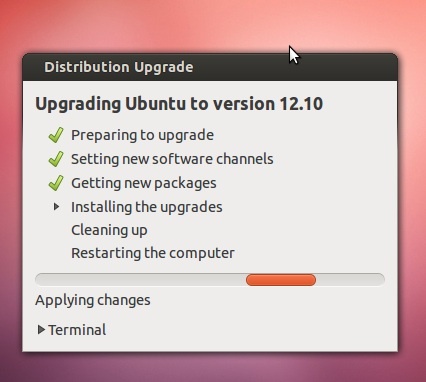 You’ve successfully updated you machine to Ubuntu 12.10 Quantal Quetzal! One more thing: There is lots of discussion going on because if you search for something in Unity’s menue, you are always exposing your search terms to Amazon and get shopping results based on that. If you want to protect your privacy open up „System Settings“ from the launcher on the left and click on „Privacy“. Confirm with typing in your password and typing „Y“ when asked. 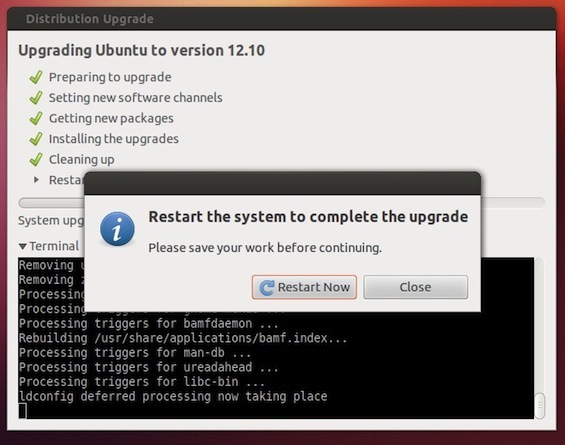 Now, have fun with your freshly upgraded Ubuntu 12.10 installation :) Let me know what you think of my upgrade guide and of course of Ubuntu 12.10 in the comments section. If you want to join a discussion which platform (Windows, Linux, Mac) is YOUR platform of choice and why, you might want to check out the article Your choice: Windows, Linux or Mac OS X – YOU decide! If you found this guide useful you can like maknesium on facebook and you’ll get notified when I upload new guides. Thanks to bogan from http://ubuntuforums.org for his feedback! Thanks to .☠. from http://www.ubuntu-forum.de for his feedback! 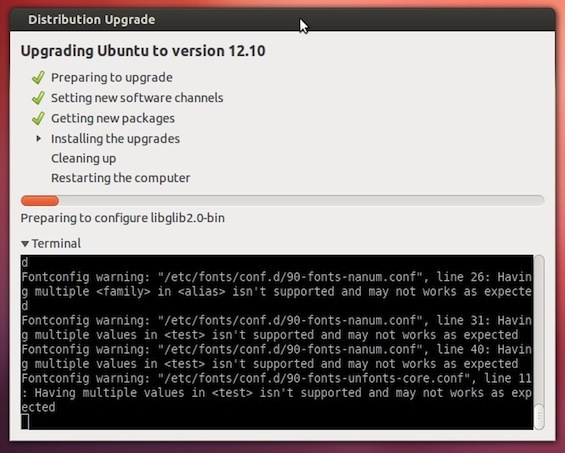 Imho you should link to the release notes of Ubuntu 12.10 at the beginning of the article. There are a few ‚known issues‘ which you should be aware of before upgrading. 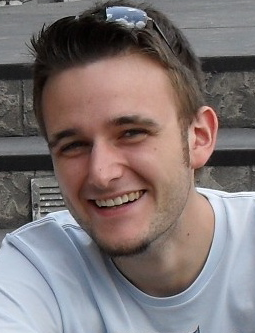 Vorheriger Beitrag„._*“ Resource forks / DOT underscore Files bei Mac OS X von USB Stick entfernenNächster BeitragYour choice: Windows, Linux or Mac OS X – YOU decide! 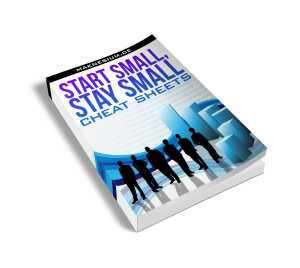 Very good guide and really easy to follow. Thanks Maurice. Es ist wirklich toll wenn sich jemand diese Arbeit antut.